From the time we can walk there are blaring messages of being DRUG FREE and signing contracts to JUST SAY NO before you even know what a contract is. We are in a war when it comes to addiction. We want our kids to remain drug free. The reality is that in recent years, part of the blame in escalated use is on how we perceive what is and what isn’t a drug. We’ve created tiers of what’s off limits and other substances that aren’t ‘really’ drugs. In particular, medication for ADD (Attention Deficit Disorder) and ADHD (Attention Deficit Hyperactivity Disorder) is one of the greatest culprits. 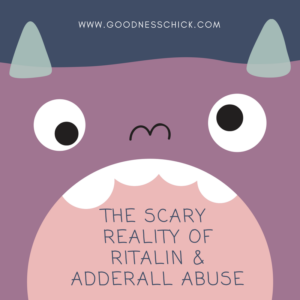 Let’s look at how ADD and ADHD meds are being abused and misused at a frightening level. This widespread abuse is off the charts…. We self diagnose ourselves. If I had a dollar for every time I have had a student self diagnose themselves as having ADD or ADHD I would seriously have a lot of dough…or surfboards. When many of their peers are on add/adhd medication and they are berated with commercials on how pills make you feel better there is a lure to use when certain triggers pop up. I need to focus. I totally have add. My question is, are you a doctor? You’re dealing with a serious narcotic! When an individual goes through the diagnosis process and actually has either of these, it means that their brain functioning differs from someone who does not have ADD or ADHD. How so? When they receive information it funnels through their brain differently. Being able to hone in on one particular thing for an extended period of time is a challenge. It can be hard conveying one thought at a time. For those who do not have either of these diagnosis, it is a difficult challenge to grasp. As someone with ADD, I can tell you there are roadblocks with the ability to focus and process. It can be a source of frustration for myself and others, but I’ve found ways to adjust and I believe it makes me who I am. Throughout my life, there were times the lack of focus and ability to convey thought fluidly was a huge frustration for me. Adderall and Ritalin are essentially caffeine doses in a pill. Caffeine does not impact someone with ADD or ADHD the same as someone who does not have these. It’s impact is the opposite. Caffeine calms the brain, it allows for improved focus an perception. It’s amazing what certain meds can do! When someone is medicated it can work wonders when the medication lines up with the person taking it. This means, not every type of medicine is going to work for every individual. This can be frustrating, but I encourage parents to monitor how their child’s personality. Are there changes? Has their eating or sleeping patterns been altered? If so, stay in close communication with their doctor. The abuse of add/ adhd is more rampant than most realize. It’s easy to obtain. It’s relatively inexpensive. When caffeine / energy is in a nice, ‘clean’ pill form the demand increases. It is perceived as harmless and convenient. What most do not realize is that it is addictive and with increased dosage the likelihood for internal damage to occur increases. Students use it to have an edge with studying and pulling late night hours. Both in college and high school it is common amongst those who are competitive in their academic field. Amphetamines give a fast surge of energy. Young or old may rely on it for the purpose of being more alert or productive. There was a trend a number of years ago of ‘soccer moms’ popping these pills to keep on the go, go, go. If I take a pill (that technically isn’t a drug, right?) I will get more accomplished and be the BEST! Aaaaahhh! So not good! It’s easy to think, this isn’t as bad as other stuff that’s out there. I’d say yes and no. These suckers are wide spread abused and over time can do some serious damage. What are some of the negatives of ongoing use? We live in a society where we want to fit it all in and we want what we want…now. This is where these types of pills are an easy lure. Chat with your middle school, high school & college kids. Don’t be fooled to think your young person is immune. Knowledge is power. If you have concerns someone you love may struggle with abusing these pills seek help. To try and kick using solo can be a challenge. It’s ok to reach out to a counselor and your family physician. Detox can be a beast. Help and support is not a negative. If you have other questions about these pills, feel free to kick me an email (erin@goodnesschick.com) or let your fingers search away on Google. Wishing you a wonderful day and a recharging weekend! Peace, love & goodness! It’s amazing how often good intending medications get into the wrong hands, especially younger people. The risks are too high and they don’t understand the everlasting damages that these medications can cause. Thank you for your post. It’s crazy to me that people use these pills to try to stay awake to study for exams. They have no idea what damage they’re doing. Thank you for this post. Some things are now much clearer to me. Medication for mental health has gotten so out of control. I was put on meds, including ADHD meds and it made me suicidal. Wow, I had no idea about this. I don’t personally suffer from ADHD or ADD, and I don’t like to take medication unless it’s absolutely necessary. But thanks for sharing this. I’m glad this article helped you out. Have a great weekend! That’s awesome! I’m glad this was informative. Have a great weekend! Goodness Chick’s Facebook Page with daily info and updates. and how easy it is to get your hands on them. Crazy stuff. Thanks for your feedback! Than you for your feedback. I’m sorry that your meds had such a severe reaction. my personality, and not in a good way. follow up is paving the road for disaster. of info. and daily updates. Have a great weekend!